Lenny, small and sharp, has a younger brother Davey who won’t stop growing - and at seven is as tall as a man. Raised by their single mother, who works two jobs and is made almost entirely out of worries, they have food and a roof over their heads, but not much else. The bright spot every week is the arrival of the latest issue of Burrell’s Build-It-at-Home Encyclopedia. Through the encyclopedia, Lenny and Davey experience the wonders of the world - beetles, birds, quasars, quartz - and dream about a life of freedom and adventure, visiting places like Saskatchewan and Yellowknife, and the gleaming lakes of the Northwest Territories. 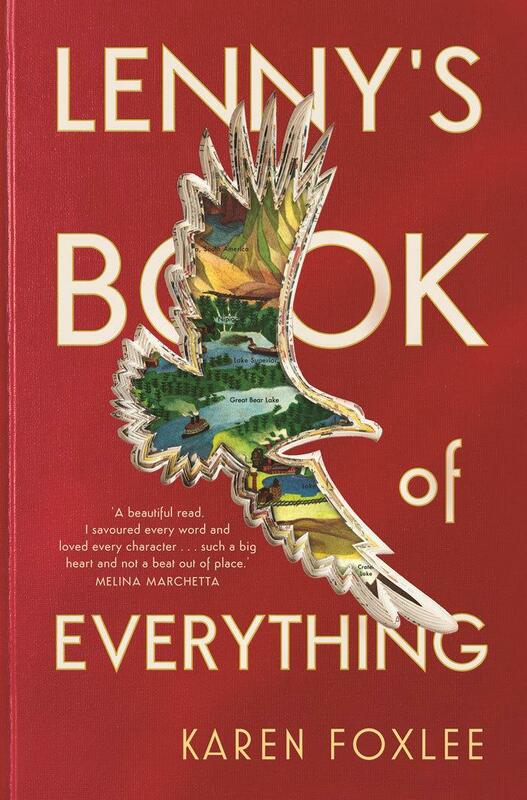 Lenny’s Book of Everything is a book with a stellar cast. There is Cynthia Spink, the proud, hard-working, worn-down, single mother of two; Mrs Gaspar, the eccentric old Hungarian lady who lives in their apartment block and looks after Cynthia’s two children while she works; Mr King, the unpleasant fruit store owner; and CJ, Lenny’s best friend and a future drummer in a rock band. But most importantly, there is Lenny herself, the young girl who tells the story of her childhood, and Davey, her good-natured younger brother who happens to have gigantism. This story is just … magical. It’s hard to say exactly why because Lenny lives such an ordinary life. It might be the excitement of the arrival of the latest issue of the encyclopaedia set that their mother’s sharp letter-writing skills won them that makes it magic – the way each book allows the children to see the world outside of their small town. Or it might be Davey himself – giant, always-wanting-to-do-what’s-right, imaginary-Falcon-owning Davey. Even if you weren’t seeing him from his sister’s perspective, you could not help but adore him. Lenny’s Book of Everything is a wonderful read for kids 10+, but it’s not just for kids; this is a book I know I will see being read by teary-eyed, sniffling adults on the bus to work.